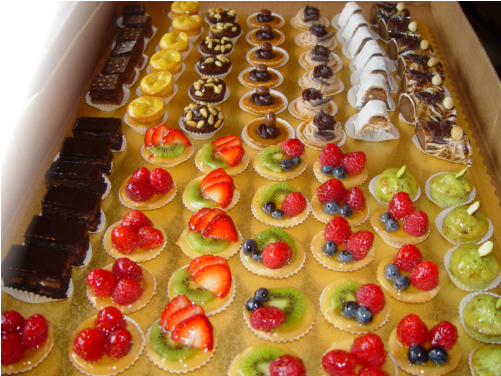 Assorted mini fruit tarts, mini eclairs, mini cream puffs, mini chocoate swans, flourless chocolate cake squares, Opera cake squares, mille-feuille squares, mini lemon cheesecakes, mini lemon tarts, mini chocolate mousse cups, chocolate dipped strawberries. Our experienced team of sales consultants will design the perfect assortment of miniature pastries for your special occasion, whether for a wedding, a business meeting or simply an elaborate dinner party.  Miniature pastries may be custom ordered with 2-3 days notice, and must be ordered in sets of 10 per menu item. Please contact us to place your order by phone or email, or visit us at one of our stores.